Kelly has been with the office since 2003. 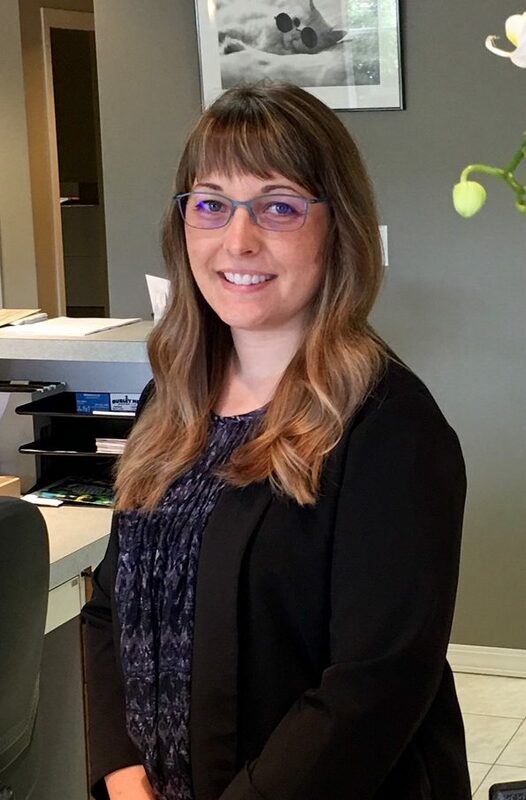 She takes pride in her friendly enthusiasm dealing with patients at the front desk but also enjoys the opportunity to assist with pre-testing and dispensing. She enjoys seeing patients return year after year as well as meeting new patients who are new to the area or returning after years away. She has spent most of her life in Campbell River. In her free time, she enjoys spending time outdoors hiking and traveling with her husband Ken and her dog Keeya.